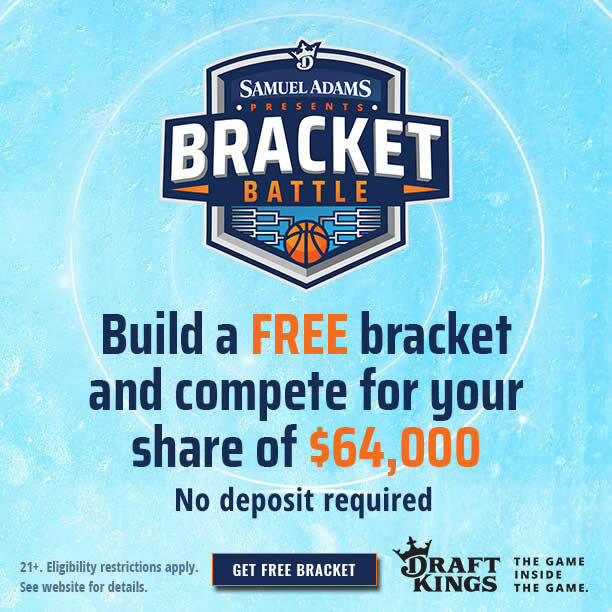 DraftKings.com is offering $64,000 worth of prizes in a March Madness Bracket Contest with $5,000 1st place prize money. For more details of this huge contest, simply sign up to DraftKings here. Join DraftKings right now and get a free contest entry. Looking for some longshot picks to take down the tourney? Here is a list of this year's March Madness sleeper teams or cinderella picks as they call them. These underdogs are sure to give the top March Madness picks a run for their money in this year's tournament. - WOFFORD TERRIERS - The Terriers have not lost in 2019 and are 29-4. They have the 3rd best offense of any NCAA March Madness team and are one of the nation's best rebounding teams. Fletcher Magee is a 3-point machine and isn't even the best 3-point shooter on the team! Their use of 3 guards to shoot 3s is driving opponents mad. If you want to cheer for the college version of the Golden State Warriors as your March Madness sleeper pick, then this is your team. - BUFFALO BULLS - The problem with picking the Buffalo Bulls in your 2019 March Madness Brackets as your Cinderella team, is that so many others are doing so as well. The Bulls have 2 key beasts in their starting 5 - C.J. Massinburg who is a serious threat from long distance and Nick Perkins who is dominating the middle. The Bulls are a run and gun team that light up the scoreboard but they tend to take too many fouls on defense. Choose at your own risk. - MURRAY STATE RACERS - The 27-4 Racers come into the tourney winning their last 11 in a row and everyone is talking about Ja Morant. Morant is one of the most electrifying players in the country and will most obviously be a top NBA draft pick. Murray State can score from the backcourt as well shooting from the outside at nearly 50%! They also offer a tenacious defense. Choose the Racers as your #1 bracket buster. - IOWA STATE CYCLONES - Lacking experience in the big tournament is just about the only reason you don't want to have Iowa State circled in the first couple rounds of your March Madness office pool as your top underdog to go to the Final Four. The Cyclones are young, explosive and mentally tough yielding one of the most balanced teams going to the big dance. They just beat Kansas in the Big 12 Conference Championships capping off 3 impressive victories in a row. The Cyclones should put a scare in any team facing them in the first 3 rounds of March Madness. Look no further - You have found the Best March Madness Bracket Contest on the web! Disclaimer: RealMoneyFantasyLeagues has no association with the NCAA or any other College Basketball league with respect to games or contest for real money prizes or free or otherwise.